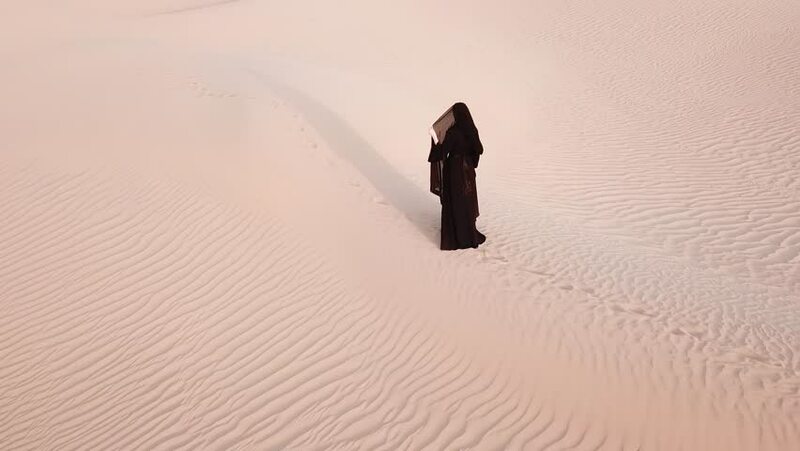 Drone following close up a woman in abaya (United Arab Emirates traditional dress) walking on the dunes in the desert. Dubai, UAE. 4k00:15NAMIBIA, AFRICA - CIRCA 2018 - Good aerials over ATV vehicles speeding across the desert sand dunes in Namibia, Africa. hd00:06Man in a cowboy hat walking on a foggy beach in winter. 4k00:22Man walking alone in desert. Great Sand Dunes National Park, Colorado, USA.